Over the past two decades of their existence, QR Codes have evolved as a disruptive innovation across all categories of business and marketing. QR codes are now ubiquitous and are taking over almost every aspect of a business from posters to payments. E-commerce, like all other industries, is no stranger to the usage of QR codes. Amazon’s rise to be the World’s Largest E-commerce Company has been driven by its ability to leverage emerging marketing technologies like QR codes to their highest potential. In this post, we have listed down powerful QR code applications deployed by Amazon that other e-commerce businesses could adapt to knock out the competition. Incorporate QR codes in your product/delivery packages and drive customers to product rating and review page. What you can also do is to link these QR codes to discount coupons and compel customers to continue shopping with you. Another option is to link these QR codes to product warranty pages. Keeping up with fellow competitors like Google and Apple, Amazon too launched QR code based payment systems for retail stores. Apart from adding wallet balance and linking your bank account for quicker online shopping, you can now make payments at your local retail stores using Amazon Pay. Such collaborations with local retailers can help your e-commerce platform gain more sellers by encouraging more retailers to sell on your platform. Boost your app downloads by allying with supermarkets. While your customers get to save a few bucks and shop more, you get to build credibility and a loyal customer base when supermarkets promote your app through such alliances: a win-win deal for everyone involved. Amazon adds QR code to gift receipts which help the receiver quickly send a thank you note with just a scan of the QR code. The receiver of gift can also learn more about the product they have received as a gift through these QR codes. Adding QR codes on gift receipts is an excellent technique for an e-commerce platform to trigger an emotional connection with customers by helping them build interpersonal relationships in a way that retailers can’t. Amazon Smile is a sub-platform of Amazon which donates 0.5% of the price to charity each time a customer makes a purchase. Amazon promoted this CSR initiative by using QR codes to drive traffic to the Amazon Smile website. The initiative launched in 2013, was a unique combination of charity and QR codes which helped the e-commerce giant build brand affinity among socially conscious customers. Smile Codes are Amazon’s version of QR codes, with their signature smile logo embedded within the code. Amazon tested these Smile Codes at Amazon lockers and pop-up stores in parts of Europe were exclusive to Amazon users and could only be scanned using the company’s app. Stand out from fellow e-commerce platforms and increase brand awareness among customers by creating your unique identity. Build QR codes branded with your company logo using Beaconstac’s QR Code Generator. Amazon launched a private label in 2014 exclusive to prime users called Amazon elements. In 2017, the company introduced a range of supplements and vitamins under this label with all product labels consisting of a unique code. The Amazon elements code was designed to inform customers about product ingredients and promote transparency. Maintaining product transparency is an excellent way for e-commerce platforms to gain a competitive advantage over companies that anonymously sell products online. Although the Amazon element codes are not the same as QR codes, it is possible to achieve the same use-case using webpage QR codes and PDF QR codes. According to Statista reports, ‘E-commerce sales are expected to reach 17.5% of global retail sales by the year 2021’. The expected growth of e-commerce sales indicates a rise in the number of market competitors for existing e-commerce platforms. It is crucial for all existing and upcoming businesses to stay at par with the e-commerce marketing standards set by pioneers of the industry. 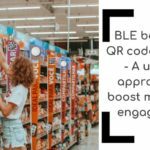 Indulging in QR code-based marketing is a brilliant way to ensure that your e-commerce platform stays on top of the ladder. Start using QR codes for your e-commerce marketing today. 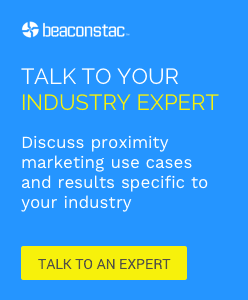 Explore Beaconstac’s free QR code generator or schedule a demo with us.